CE, ISO9001, SGS, ASTMA97597, EN 10223 standard. The netting line is designed to make gabion mesh of various widths.The machine used exclusively for export, and we provide the Installation Services. 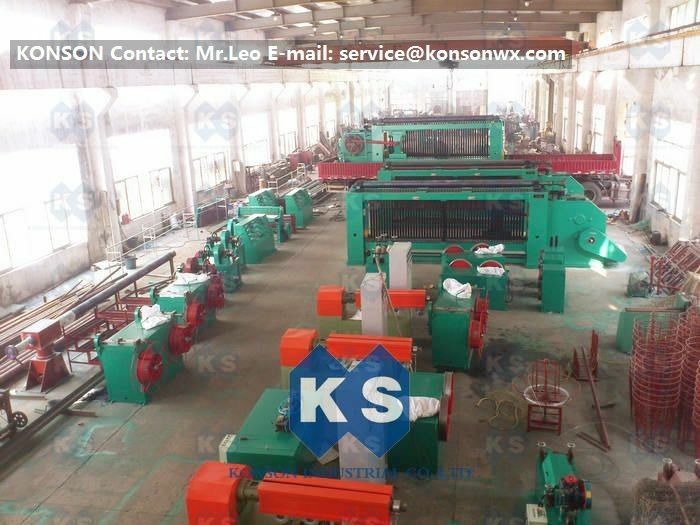 Netting line contains main netting machine, winding machine, wire tension machine, air compressor, standard spare parts, lubrication pump. And the Scope of optional supply as follows, Wire spools, work platform, wire payoff. We can manufacture especial size as your request, User satisfaction is our unremitting goal!